Financial markets are complex concepts; they’re processes that can’t be fully grasped with merely a few hours of reading. The process of learning how to successfully navigate the financial markets is a progressive task that can only improve based upon your own individual input. Essentially, the more practice you put in, the better off you’ll be. Social trading shortens the learning curve exponentially. This new-age concept that has been introduced with the development of the internet enables you to trade within a digital setting and use other professional traders’ insight and experience to facilitate your own trading and investment process. Whether you’re a new trader looking to make some extra profit from the online markets, or an experienced financial trader with decades of experience under your belt, social trading can help you. 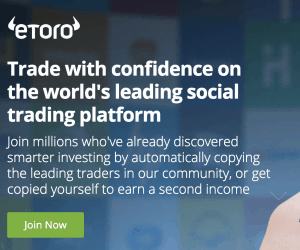 In this guide we have reviewed the top social trading platforms for 2019 and found that eToro is by far the best social trading exchange out there. Getting started with them is fast, easy, and free. Read on to find out how to get started. Social trading is not entirely new. In fact, the idea behind social trading has been around for decades. However, the mix of online financial markets and social networks has birthed an entirely new wave of possibilities where platforms can allow for facilitated ‘copy trading’. 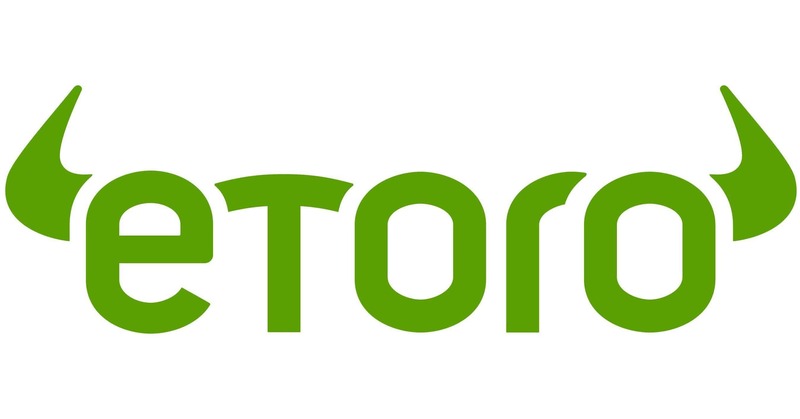 Exchanges such as eToro enable the possibility for social trading, and external third-party sites allow for the sharing of strategies, ideas, trade concepts, and much more, which enables any beginner trader to understand ideas and get the hang of things a lot faster than they otherwise would be able to. This guide will dial in on Social Trading, conducted on a variety of financial markets. Social trading is a concept; it involves using other traders and investors and their decisions as a base model in making decisions in your own investing or trading techniques. As a result, it is more of a mindset, which can be translated into a process for both new and veteran traders and investors. User 1 sees a profitable opportunity in buying Apple (AAPL) stock. User 1 links his account to a social trading platform that posts his trades when they’re made. User 1 buys Apple stock, and the trade is immediately posted to the social trading platform. User 2, who is an avid user of the platform sees that User 1 has made many profitable trades in the recent past and decides to also buy Apple stock. This process is known as copy trading, otherwise referenced as social trading. User 1 and User 2 have both successfully engaged in social trading by doing this. Why is this important? There are multiple reasons for this, namely, because if you’re not knowledgable in trading, or a beginner, you can immediately get guidance in your trades from other more experienced people. Social trading is done specifically different using various terms on every platform, however, fundamentally the core process is traditionally the same on each platform. Social trading contains a few pillars to it as well. You can create an online account that other users can follow, and you can use this account to share different ideas, strategies, and more. You have the option to build a following; it enables you to partake and interact with a community of like-minded traders and investors that are also trying to maintain profits in the markets. The concept of ‘social trading’ is really a multi-structured facet, one that we’re here to help you understand. What’s the Usefulness of Social Trading? Many traders and investors are unaware of the benefits that social and copy trading can yield. There are a few large benefactors to utilizing these platforms, those of which tend to both new market participants and those who are experienced. – Having the ability to see other people’s trades and decisions in the markets can give you further understanding of assets or prices. Social trading allows for this by showing you where, when, how, and in many cases why a trader or investor decided to do something. This is important and can increase you knowledge of certain aspects. – Although this should be taken with a grain of salt, community-based trading and investing can help you see the broader picture when it comes to market overviews and to see the amount of people buying or selling something. – Due diligence and research plays a large part in making a certain trading decision. Analysts and mathematicians sometimes spend days or weeks deciphering where they’d like to make a trade or how/when they want to enter the market. Social trading lets you follow reliable traders, and base your decisions off of other researchers and those who have already deducted exactly why a trade is reasonable. – Both beginner and veteran traders must continue to learn and expand their knowledge base when it comes to trading the markets. Social and copy trading allows you to do just this. It allows you to expand your knowledge on not just the markets as a whole, but expand your understanding of traders and individual people/traders as well. The process for kickstarting your own social trading is fast and painless. It relies upon, first, finding a platform or exchange that enables you to either create interactive investor profiles that record your trades or using a copy trading platform. As we’ve stated, each platform and trading outlet is unique, and not all are the exact same. The core process is traditionally always similar, though. This tutorial assumes you want to copy trades, not post them. Enter in your email and create a password and you’ll be able to move forward with the process. This step is particularly optional depending on whether you just want to practice how social trading works, or if you want to get started social trading with an actual live account. If you simply want to get started with a demo account and play around with copy trading to see how it works, you can skip this step; most, if not all brokers and platforms enable you to simply start with a demo account right away. However, for those looking to trade real funds, you’ll need to 1.) 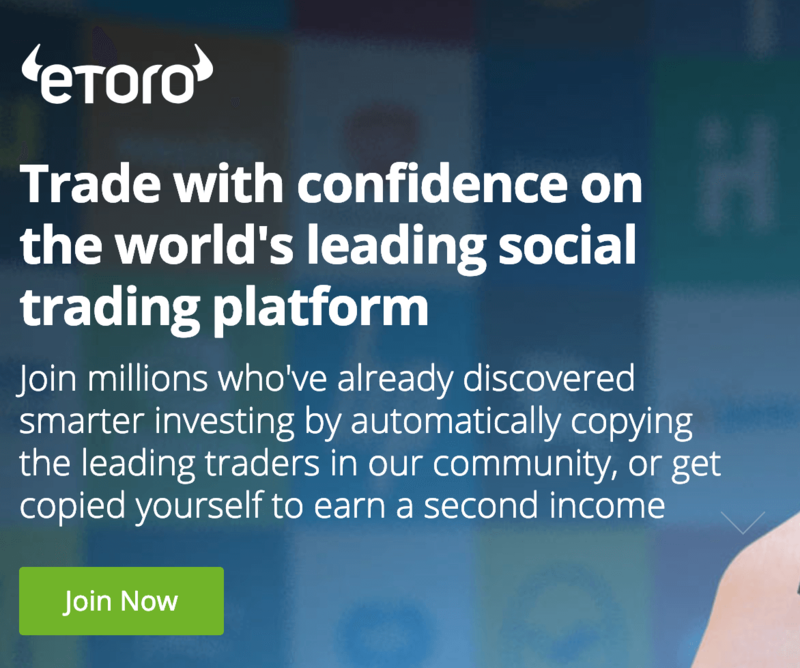 Verify your eToro account as well as 2.) Link a deposit method and deposit your own physical funds. 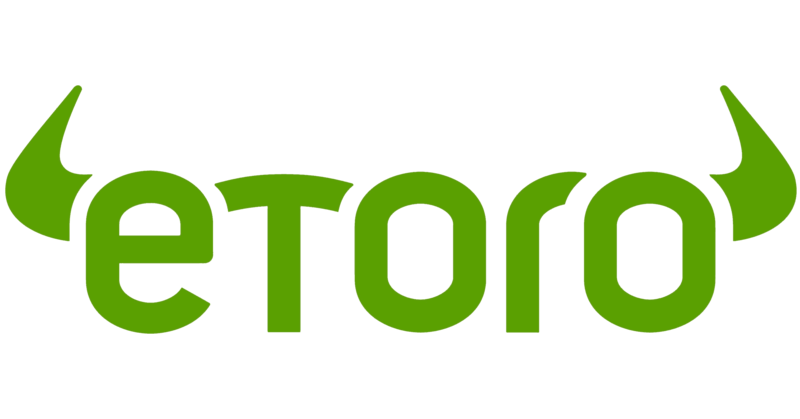 To verify your account, select this button and provide the needed credentials (This will usually be a valid identification document, passport, proof of residence document, as well as a second method of authorization), which will be reviewed by the eToro team and then processed accordingly. Keep in mind this can traditionally take some time as far as a full-end verification. All respective platforms that require verification will take their respective amount of time to complete the process, so keep this in mind. Next, you’ll need to link a deposit method and then deposit some funds to your account. To do this, assuming you’ve verified your account, on the same side as the button we’ve just clicked to verify our account, select the “Deposit Funds” button highlighted in a blue rectangle. Once selected, click which deposit method you’d like to utilize. 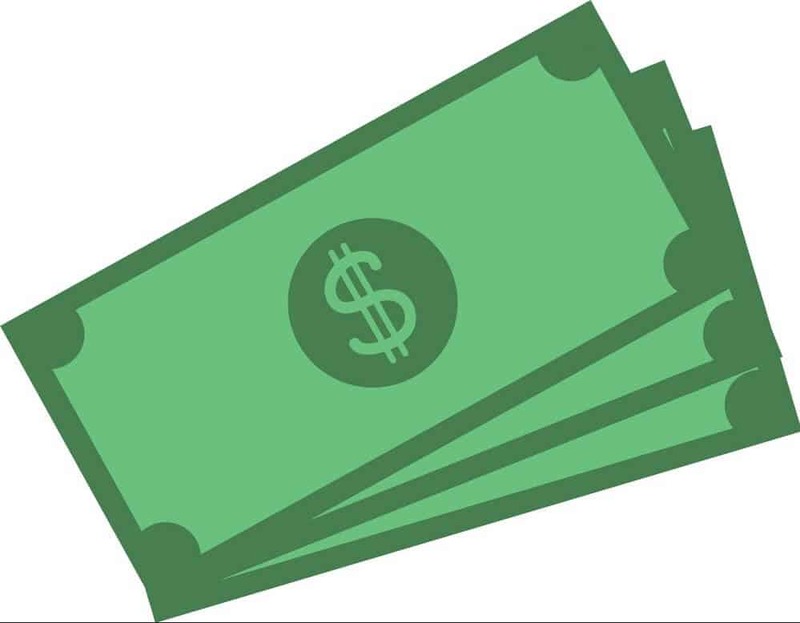 PayPal is generally the quickest, however, you can choose from any of the supported avenues that your selected social trading platform has enabled. Upon clicking on their profile you’ll be able to see all of their publicized trades as well as performance over a variety of different time periods. Click on the button in blue (The biggest button on the page) that says ‘Copy’. This will prompt a new field to enter in how much money you want to place to actually copy this specific trader. This will automatically place trades on the market based upon how and when the copied trader does. The following screen shows the process of putting money to execute trades on eToro that are exactly the same as the trader we’ve selected. Clicking on “Copy” will then place your funds into something similar to a retainer. Whenever the indicated trader makes a trade, the funds which are ‘retained’ will be used to execute an exact replica of whatever the intended user does. Congrats! You’ve successfully completed your social trading account. As we’ve discussed, social trading is the process of utilizing a platform where the application or website allows us to merely copy other people’s trades. The process of social trading and copy trading is different per each platform, as not all are the absolute same. Each have their own traits and distinctive qualities; some offer incentives such as bonuses and discounts to be the one that is copied, while others do not. What Are The Best Social Trading Platforms? First and foremost is eToro; the exchange is regulated and registered with the FCA as well as the CySEC. The platform enables instant copy trading for the average and experienced investor. You can create a customized profile that tracks all your trades on the platform, and allows other users to copy the trades right on the platform if you allow it. 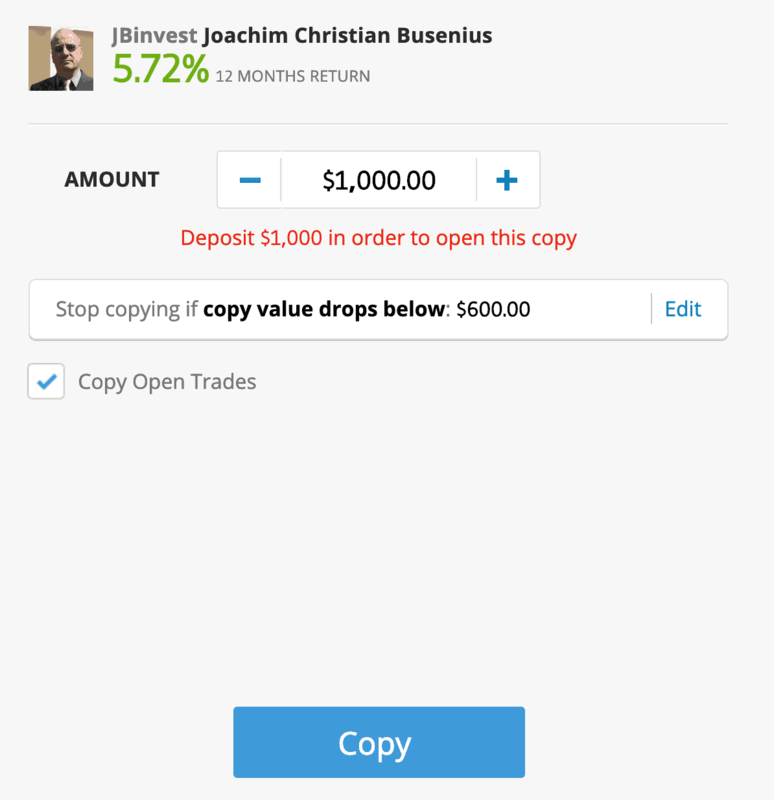 On eToro, you can copy trades immediately that are automatically executed whenever your ‘copied’ trader makes a trade on eToro. You don’t need to watch the screen, and can even leave the computer on autopilot if you choose to. The Naga Group, who launched an ICO to raise funds for their own “NAGA” coin, are a powerful financial company that purchased ‘Naga Trader’ from its original owner to deliver one of the most interactive social trading platforms. The trading site, and subsequent mobile application, can be downloaded for free and you can get immediately involved in the Naga ecosystem. With Naga you can even compete amongst other traders in self-made competitions with wagerly winnings. This incentive is new for social trading and lets you add customizability. Naga Trader, despite launching a cryptocurrency, is a social trading platform for all global markets. ZuluTrade takes on social trading in a new aspect and has subsequently made a name for itself as one of the most promising and reliable platforms in the atmosphere. ZuluTrade works a bit differently than most social trading platforms; to work on ZuluTrade, you trade using one of the supported platforms and traders are then subsequently ranked based on customized criteria set forth by the presiding company. ZuluTrade records your overall strategy, aggression in trading, and categorizes them. Investors then, as a result, select which types of strategies and overall markets they want to target and can then select traders to copy. The platform is very innovative. Another strong contender when it comes to prospective social trading platforms is Darwinex. The platform was built by a registered UK brokerage firm and serves as an exchange to allow for incentivized market movement. Darwinex enables better pip pricing and fees for those who are successful in their trades. Darwinex additionally lets you copy trades and do what is called ‘invest in traders’. This can be customized to tailor certain traders that only use a particular strategy but can range to select your own individual traders. Regardless, Darwinex is a great social trading platform for both veteran users or newer traders. TD Ameritrade – Ameritrade, ran by the popular retail bank “TD”, is one of the most trusted trading platforms in the financial ecosystem. The platform is overseen by a plethora of different regulatory bodies and maintains a level of market safety that many other exchanges seem to lack. Since the exchange is operated by an actual registered bank, it offers a level of safety with traded funds that many other exchanges simply legally cannot provide. This edge is very attractive, especially to prospective Forex traders. Using a social or copy trading platform can yield some very advantageous and opportunistic angles within the market, however, the platform in particular that you choose can stifle or excel your ability to exist in a market. When choosing a social trading broker you should look for various factors, however, the main goal is to select a social trading platform or exchange that is tailored in your image and preference most specifically. Here are some important factors to assess and what to look for when choosing a social trading platform. Look for low fees, and if fees are nonexistent, look to see why that is. Some social trading platform incurs fees in other areas such as withdrawals and deposits instead of directly on the trades. Find the additional fees that these platforms apply to the users of the platform, and then apply it appropriately. Find social trading platforms that are regulated and registered with existing legislative or jurisdictional law bodies. This will ensure that all your activities on the site are legal and overseen by a legislative body. Otherwise, you don’t know if your funds are truly safe. A large following on a social trading platform is good; this means that there are more traders to choose from, and therefore more strategies and potential profit methods to choose from. Ensure that the platform you’re using has a level of security and cyber protection added to it; many times social trading platforms can succumb to things such as DDoS and other cyber-like attacks. Social trading is a growing industry that has been reaching all corners of the globe; as a result, companies and exchange providers have flocked to incentivize trading on a copy-based platform. Creating an account to trade so that others can copy your trades does have some benefits, depending on the platform you’re using. Conceptually, by instantiating a platform where users can come and copy your trades if you succeed, you can emphasize your brand name and others will see that you’re a particularly smarter or well-versed trader. So how do you create a trading account for others to start copying? First, start by choosing a platform that you’re comfortable with using. We recommend any of the previously mentioned exchanges or providers as they’ve been previously vetted and have demonstrated reliability within the space. You’ll have to create an account, in the same manner, that we previously mentioned as well, however, in this instance, you do not have the choice for verification or deposit linkage. On most, if not all platforms, you cannot use a demo account as a standard for other traders to copy. As a result, follow the aforementioned tutorials, and if all is well, proceed to verify and link a deposit method. Upon review, the customer service team will then look over your new application. 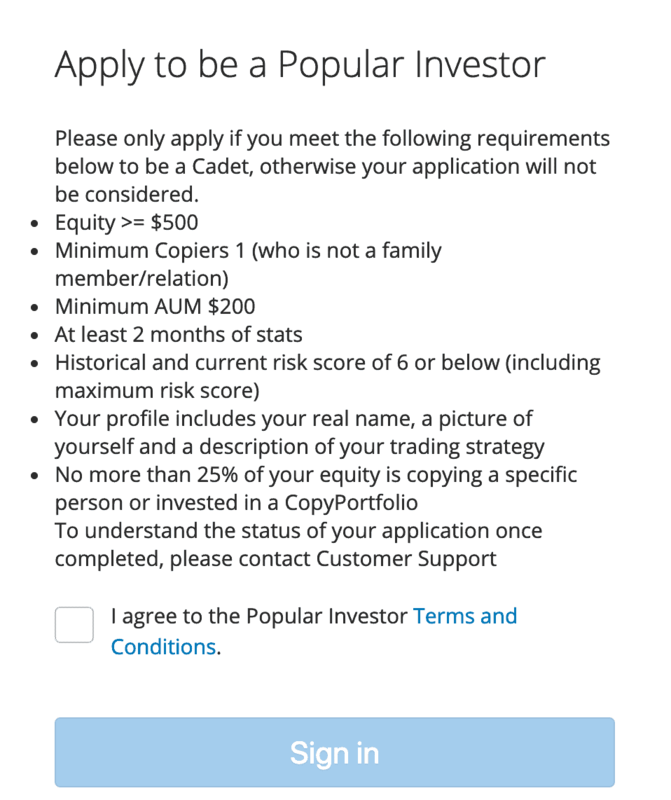 If successful, you’ll then be able to link all of your trades to a ‘custom popular investor profile’. This profile is your hub where other users can login, click ‘copy’ on your profile, and then follow each and every one of your market movements. Keep in mind, that this is not the standard for all social/copy trading platforms, this is only the reward structure for eToro. Other websites/applications will follow different types of tiers and structures, while some social trading exchanges won’t even reward profitable or successful copied trades. What are the Different Types of Social Trading Accounts? Social and copy trading have a few different types of accounts (Regardless of your platform of choice), so it’s important to keep yourself up to date with some of these changing fundamental account structures. Social trading accounts can differ and vary based upon the actual market you’re trading on (As discussed before). 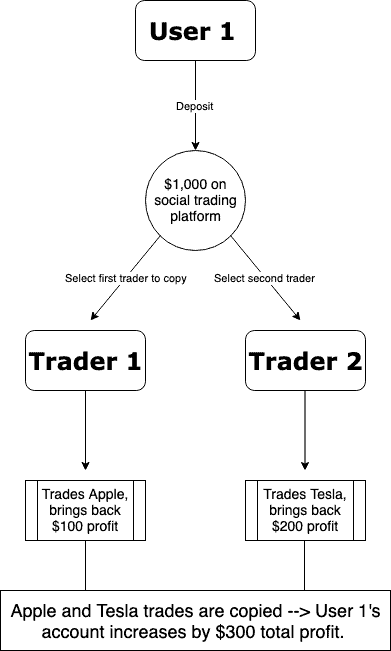 Above is an example on a standard broker of differentiation between 2 types of trading accounts that are then able to be linked to the social trading aspect. Standard accounts are used in the Forex markets. These accounts enable you to trade lots in their standard form, which is equivalent to $100,000 per lot. Traders copying these sorts of accounts will be engaged strictly in the Forex market. 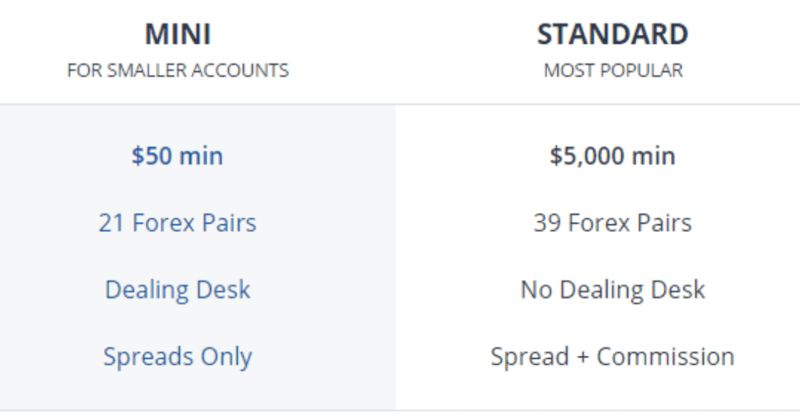 Mini accounts are a niche type of Forex account. These accounts allow for trading of Forex in what is referred to as lots in their ‘mini’ form; otherwise, denominations of $10,000 per lot. Depending on which broker or exchange you’ve chosen, the use of margin in combination with the utilization of registered or regulated financial products may potentially be enabled. CFDs are contracts for difference, financial products that enable the trading of an asset without actually ever touching the asset in question. These accounts refer to accounts in the social trading atmosphere that are the ones opting to copy other investors and traders movements in the markets. In a ‘copy’ account, you’re not doing any actual trading, simply copying other movements within the markets. 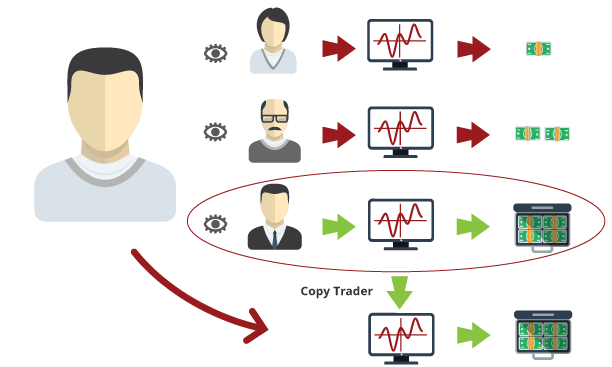 ‘Copied’ accounts are accounts within social trading that are being replicated or imitated. 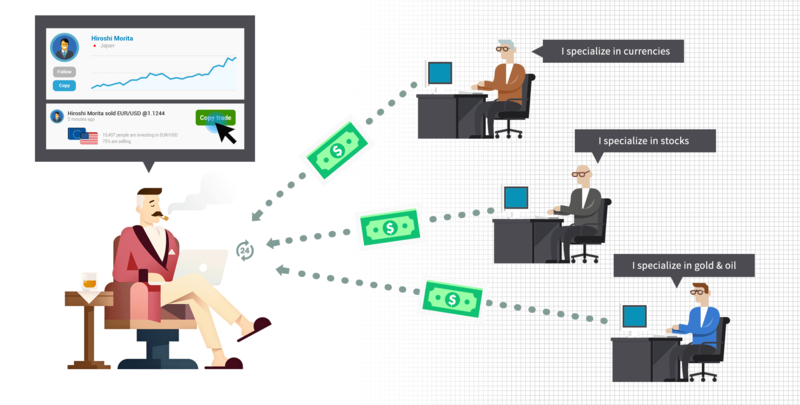 On platforms such as eToro, copied accounts are rewarded based upon how many people are copying their trades relative tot he success their trades are generating. The following are basic terms that will come up frequently in social and community trading settings. Copied/Popular Investors – Traders and investors who are being copied by other people, serving as a ‘benchmark’ for other investors and traders, are referred to many times as copied or popular investors. These are the traders and investors that you’ll be copying if you’re in the social trading market to have others make the trades and market decisions for you. Performance & Return – Copied or popular investors/traders will subsequently either be very good or bad at what they’re doing. Subsequently, their performance and returns are how well their trades or market movements are. If a traders performance is high in terms of percentage, it means that they’ve done well in the markets. When copying a trader or investors base strategy, you generally want to look for consistent returns or performance, meaning they’ve been able to make positive and profit-yielding trades/profit in a consistent manner. Copiers – Copiers are simply the users that are replicating the trades or base of each individual person. If you are a user that opts to let another trader or investor make decisions for your portfolio on a social trading platform, your categorization is then a ‘copier’. Risk – Risk is the amount of downward pressure that a trader or investor is undertaking in order to obtain positive performance. Traditionally, the best methods are those with lower risk and higher rewards, but this is rarely the case. Risk is a certain tolerance for a loss that you can undertake. High risk means you’re putting a lot on the line; low risk means the opposite. A copied trader that is taking a lot of risk in their strategy is putting a lot on the line (Or essentially putting a lot in the markets) in order to make the returns they’re generating. You can take various levels of risk when it comes to your investment. Holding Time – When you’re trading, there is a certain amount of time that you’re holding your positions for. Essentially, what this means is that you’re buying an asset or market position and not selling it for x amount of time. From the time you buy an asset to the time you sell that asset, is equivalent to your ‘holding time’. A copied trader with an average holding time of 7 days means that the trader traditionally holds whatever position they’re entering in for about 7 days on average. Despite your initial intentions, your most probable overall goal when it comes to social trading is to generate profit, or make money that you otherwise wouldn’t be able to. So how do you actually make money when social trading? Select a trader that has demonstrated future potential in the financial markets, has had previous success/profitable trading, or has a quality you believe will yield positivity in the upcoming markets. On your platform of choice, select the ‘copy’ functionality with the desired amount of funds. The copied trader will trade and anything they do, will be parallel to your own portfolio. Await for them to make profitable trades; assuming they make profitable trades, your position size will increase along with the trade. 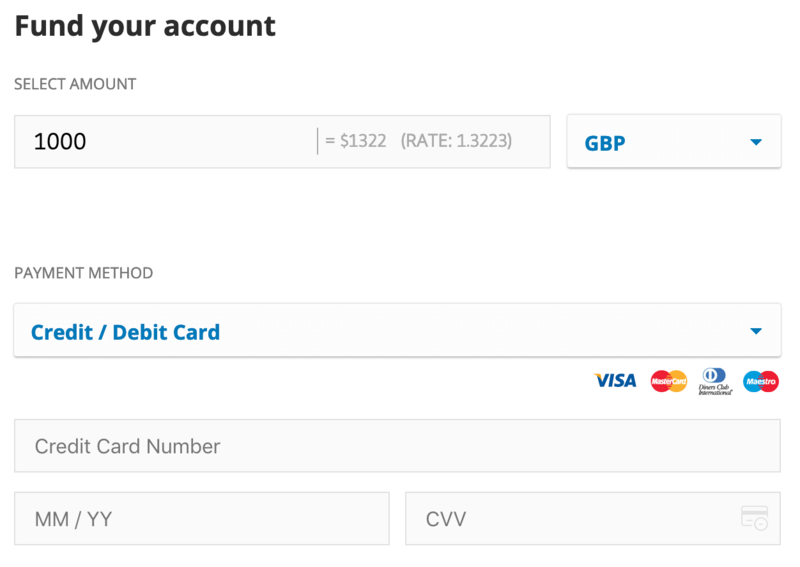 You can choose to disable the copy-function which will withdraw your funds, or you can allow the account to function on its own. Either way will work. Then, your account value will have grown; if done successfully, you’ll have made money with social trading. Well, what’s the catch? The downside is that you never for sure on any social trading platform which traders will be 100% correct; you need to be subjective. Vet your candidates for social trading very carefully. Figure out your own investment strategies and intended goals. Seek out which financial markets you’d like to target and for what relative time periods. Creating a plan in regards to your goals beforehand is very important as it will help you refine your process as you go along. Knowing your own comfortable criteria will also help you select a trader you’re comfortable in copying. Different trading platforms and exchanges have different filtering and siphoning options. For example, eToro lets you filter and identify the most optimal traders to copy in accordance to return relative to risk. You can also filter according to markets and things such as longest shown consistency. Parameters such as these can be invaluable when looking for traders to copy. An example of filtering being applied to social trading on eToro. Identify traders that have shown high performance in their trading returns, but don’t allow for this to deceive you in your selection. High performance can just as equally mean luck. It’s entirely possible that a trader could have gotten lucky on a single trade. Look for investors and traders that are showing consistent returns as well as higher-based averages. A trader that has returned 25% over the course of 300 trades in a year’s time period is subjectively a much better choice than a trader that has returned 40% over the course of 2 trades in just a week’s time. Your account when copying traders should be limited and regarded with high due diligence. Putting your entire account in the hands of a singular trader that you’re not entirely knowledgable of can be an awful decision at times. Certain exchanges and platforms offer intuitive tools, additional aids, and even monetary incentives for building up a trading following and still continuing to be successful. Analyze the available exchanges and platforms and try to match them relative to your own styles. If you’re looking simply to keep track of your own trades, then it’s recommended you put less regard to things such as incentives. Keep in mind there’s a lot of traders looking to acquire copiers, especially on platforms that provide rewards and incentives, which means it’s competitive and therefore it’s more difficult to acquire more copiers. As a result, approach the market in a unique way. Provide unique strategies to investors and traders and give them a different reason to copy your trades instead of anyone else’s. When you have a subsequent edge over other traders, you’re giving copiers a reason to follow you instead of others. Showing traders and potential copiers that you can profit is one thing, but showing them that you can trade and make a profit in a consistent manner is an entirely different thing. Most professional and institutional level traders are looking for consistency when it comes to their trades. Therefore, try to start small and aim for trades you’re more than likely sure of. This way, you create an almost repeatable methodology that others can copy. The idea of earning income based on others copying your market movements can be very enticing. However, keep in mind that large-scale mistakes that are made early in your community trading career can be harder to repair; therefore, don’t rush. Plan your trades and carefully approach the markets. Can you get rich social trading? Absolutely – you can get rich by trading social trading, but you’ll need to assess what the realistic possibilities are. It’s definitely possible; the following example demonstrates someone making a large profit off of social trading: The user copies a trader that has shown above average and consistent profit in their trades, and as a result, allocates $10,000 on eToro to mimic their investments. Over the course of a month, the trader knocks it out of the park, and returns over 200% for their portfolio; since you’re latched onto their investor profile, (Minus fees) you’ve also just made 200% on your investment. As a result, you’ve made $20,000 profit. The key here is to relate your account size. Keep in mind, this is not always the case, and there is no sure bet that you’ll continue to generate profit. What's the most profitable social trading platform? 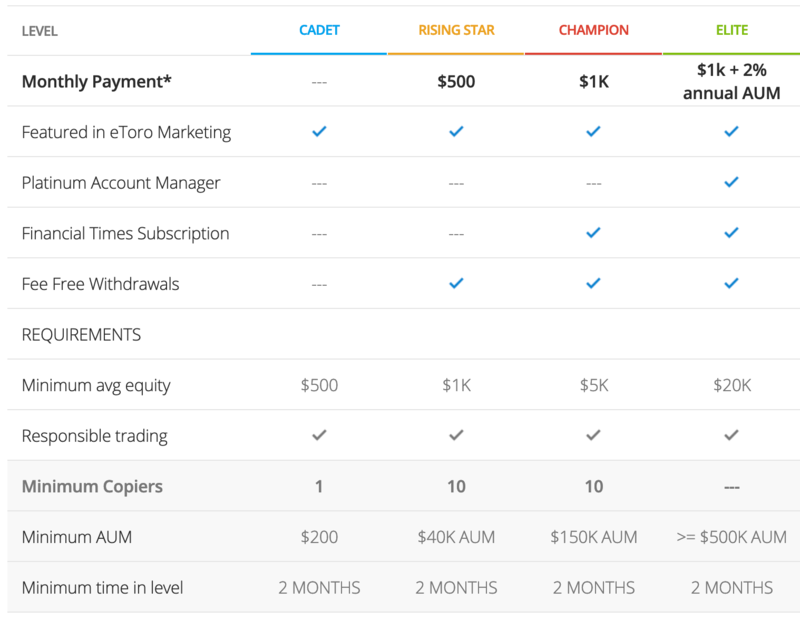 The current social trading platform with statistically the best payouts in regards to letting people copy your trades (If you’re looking to be copied), is generally eToro because of its 2% AUM structure. The incentive works relative to how much copied capital you’re carrying and the profits you generate for the copied trades. It’s a unique structure and is currently amongst the top standards. As far as looking for platforms that offer the highest profit to those who are trying to copy other’s trades, there’s not a real indicator for this, at least at the moment. However, Naga Trader, for example, maintains a customizable competition-based structure where people can create pools of capital and whoever trades the best for other social participants essentially is rewarded the capital. The key tip here is to expand your horizons as far as what platform you use. Which markets are the best to copy? The largest market at the moment for social/copy trading right is the Forex market. This is arguably because the foreign exchange market maintains the largest overall volume of any market at the moment. More liquidity means faster, more precise execution, so as a result the Forex market has been argued to be the best option for social & copy trading. Additionally, if you’re thinking about it conceptually, the market with the most traders will have a higher chance for a profitable/high-return basis. As a result, the Forex market has been looked at as the best option for social trading. Can I use a social trade platform in my jurisdiction? The act of social trading is currently not legislatively recognized as ‘illegal’ or ‘legal’, however, you should always check on a relative basis depending on your native residence. Laws are constantly changing, and if you ever have any doubts or concerns in regards to the legal outlook of social trading it’s always best to consult with a lawyer, accountant, or equivalent. Additionally, social platforms like eToro are regulated and registered with the FCA and other governing bodies, and their job is to govern users registering from certain jurisdictions. In other words, exchanges, and platforms that are regulated/registered with governing bodies have an obligation to allow/disallow your participation in social trading. However, if they’re not regulated or registered, they’re not obligated; keep that in mind. What is Forex trading used for? Trading Forex, although adopted in recent decades as a niche type of market for trading, has also been used primarily in markets for hedging against market positions. The Forex markets enable you to engage in trading of global economies despite holding additional positions in singular markets such as American equities or derivatives. Is Metatrader Able to Integrate with All Brokers? Most Forex brokers have enabled Metatrade integration; if they haven’t, there is traditionally a third party bridge platform that the broker has worked with to allow integration with Metatrader. Using these bridges can yield seamless adding to Metatrader. How do I get better at trading Forex? A great trick that you can use to improve your Forex trading skills is utilizing a demo account in the form of paper trading. Paper trading is the trading of a ‘fake’ account. Real-time values and price action is utilized, however, the account value is not real. This allows you to practice trading in a real-time setting. It’s a great trick for any prospective trading looking to improve their skills. Improving your forex trading strategies is all about consistency and practice. Learning how to trade Forex for beginners, can be especially hard. However, you can only get better by learning, practicing, and actually doing. Within no time, forex trading for profit can be done easily. Learning what your strengths and subjective talents are when it comes to trading are what will allow you to excel in trading. Learn those strengths, and perfect them. FX trading is only what you make it. For those wondering “can you trade Forex 24 7”, the answer is particularly, yes; however, these markets are not entirely active until their respective economic activity times. How much do I need to start social trading? Copying traders only need to have a relative minimum amount equivalent to how much the trader they’re copying is requiring. This changes per trader. This also depends relative on your platform that you’ve chosen. Certain platforms require a certain amount be deposited to get started, while others do not. Generally, we recommend a $250 starting account for those who are new to social trading, just so that you can maintain a handle on the process. However, this is entirely relative to your own account.